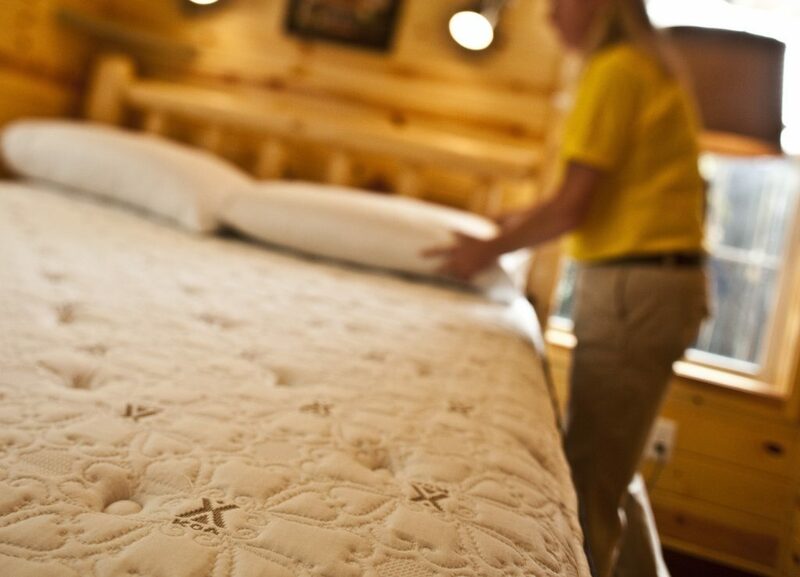 Mattress size is an important component for guest comfort. When selecting the size of mattress to purchase, consider the size of the space where the mattress will be placed and the sleep space your guests will need in order to obtain comfortable, relaxing sleep. If you do not plan to replace your bed frames along with your mattresses, be sure to measure your mattresses and beds to ensure you are purchasing the correct size mattress for your existing furniture. To obtain a proper measurement of your mattress, you must measure length, width, and height. First, strip the bed of all bedding. You will need to measure from exact edge to exact edge to ensure an accurate measurement. Using a ruler, yard stick, or tape measure, calculate the distance from the bottom edge of the mattress to the highest point on the mattress. 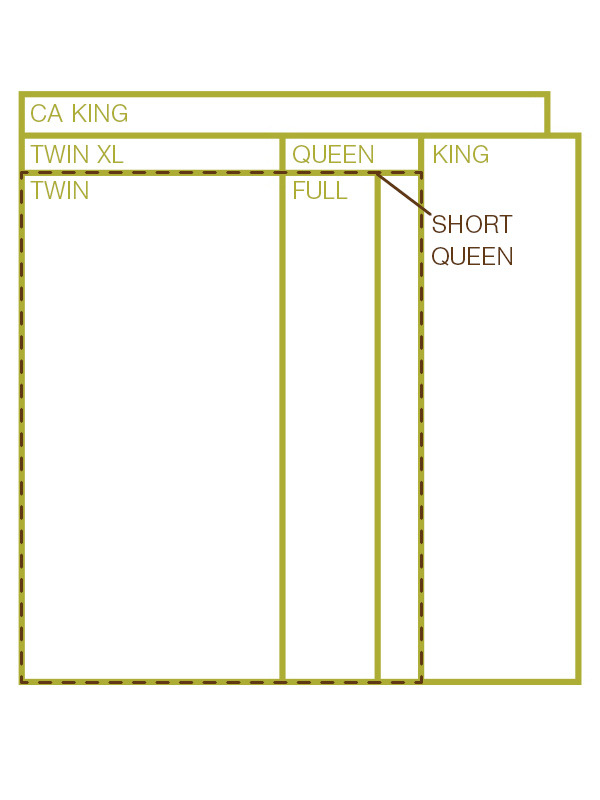 For pillowtop and plush mattresses, be sure to include the crown, which extends above the upper side edge of the mattress. Do not press down on the mattress when measuring. Once you have ascertained the height, measure the length and width. Place a solid object on either side of the head or foot of the mattress. Using a tape measure, calculate the distance between the inside edges of each object to determine the width. Place one solid object at the head of the bed and another solid object at the foot of the bed. Using a tape measure, calculate the distance between the inside edges of each object to determine the length. Compare your measurements to the Mattress Size Chart provided with our mattress descriptions to determine the size you will need. To ensure the proper look and fit for your futon, follow these steps for seating your Rugged Comfort futon mattress. Place the futon in the seating position. 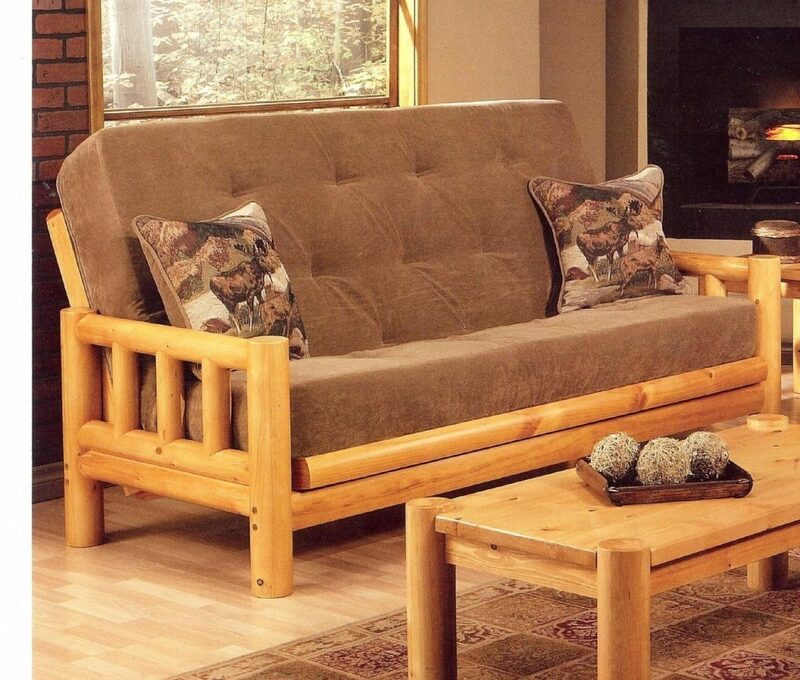 Place the Rugged Comfort futon mattress on the futon frame. Adjust the mattress so that the bottom edge of the mattress is flush with the front of futon seat and the top edge of the futon mattress is several inches above the top of the futon back. Triple Sheeting is the hospitality industry’s standard way to prepare a bed for guests. This system ensures a bright, fresh look while remaining hygienic and cost-effective. Other methods of preparing a room collect dirt and grime, absorb odors, and retain fluids and food particles necessitating more frequent laundering and replacement, thereby increasing operating costs. Triple sheeting uses just three sheets and a blanket to create a clean, modern look for your beds. Your guests will appreciate the look and feel of the room while you and your staff will appreciate the ease of cleaning and changing as well as the money you’ll save. Follow these easy steps for preparing your beds according to the Triple Sheeting Method. In this process, we use a microfiber blanket, but it is possible to use a regular blanket instead or one with box corners. We also suggest using a colored Rugged Comfort Bed Bug Foundation Protector on your box spring to give a clean look to the room. A fitted or a flat sheet goes on the mattress first. If using a flat sheet, create neat corners at the head and foot of the bed. A flat sheet goes on next. Standing at the foot of the bed, shake out the sheet until it is spread evenly over the bed. Adjust the sheet until a similar length hangs down either side of the mattress. Stand at the head of the bed and lift the sheet until the top hem is pulled up to meet the headboard. Return to the foot of the bed and ensure the sheet is smooth on the bed. The blanket goes on third. Repeat the previous step for the blanket, but the top hem should be about 15 cm (about two hand widths) short of the headboard. The third sheet now goes over the blanket. Repeat Step 2 for this sheet, but the top hem should be even with the top hem of the blanket. Fold the top of the second sheet down over the blanket and third sheet. Tuck in both top sheets and the blanket in the usual way, being sure to create neat corners at the foot of the bed. Place the pillows on the bed. Enhance the look of the bed with a bed runner or throw. The result is a very neat, white bed with clean lines. 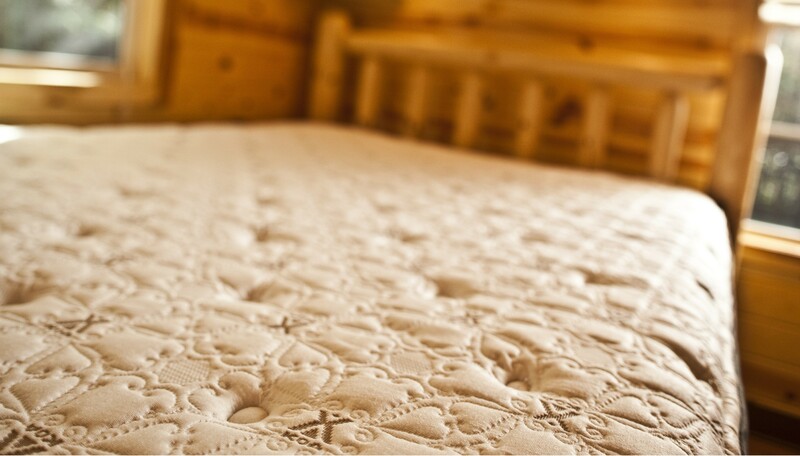 Utilizing mattress protection at home and in rental units will ensure longer, safer use of your mattress. Full encasements will protect the entirety of the mattress from dust mites, bed bugs, and other contaminants. Our mattress protectors slip on easily and zip around the side to lock with the patented “Zipper with the hook” system ensuring a complete seal. For complete protections against bed bugs, use a foundation protector, available in coordinating colors, for your box springs. Use a microfiber blanket. They make preparing the bed quicker and easier in addition to being less expensive to launder. Use the same sheeting for all 3 layers. This makes the laundry process simple, allowing for quick and easy storage, sorting, and room preparation. Use a bed base available from Great American Direct to set your box spring on. It will help prevent lost items and save your housekeepers time when cleaning. Want to refresh the look of your rooms more often? A simple, cost-effective way is to change just the bed runner or throw.